Only two days after Fringe’s grand opening parade on friday the 27th of February, Fringe presented The Mystery of the Colonel’s Ghost (TMoftCG) as a part of their Playground program. Other games part of the Playground were Bast Theory’s Rider Spoke, Flashmobs and Competitive Picnicking by Socialbomb. 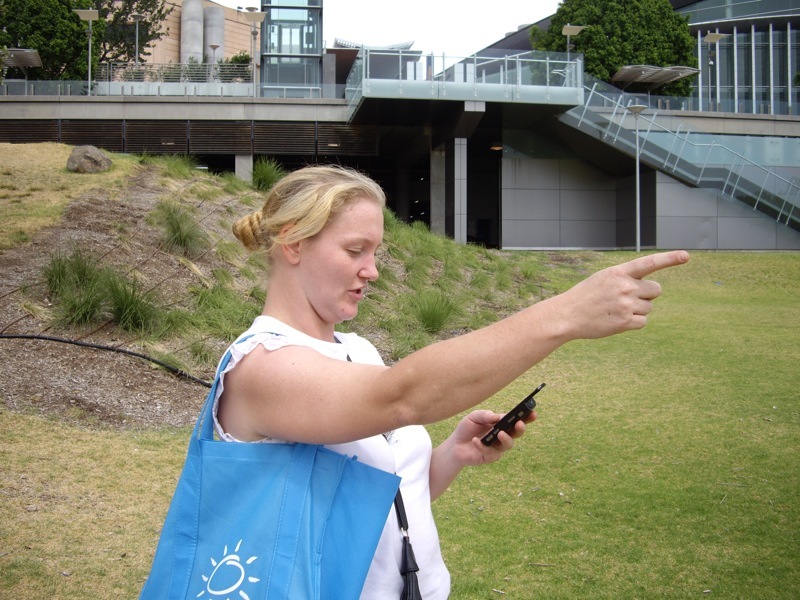 TMoftCG is a GPS-led mobile phone treasure hunt that takes players around the city of Adelaide in search of a hidden message that Colonel Light has ‘designed’ into the streetplan. TMoftCG was played in three sessions (11:00 – 13:30 – 16:00) each lasting 90 minutes on march 1st ’09. 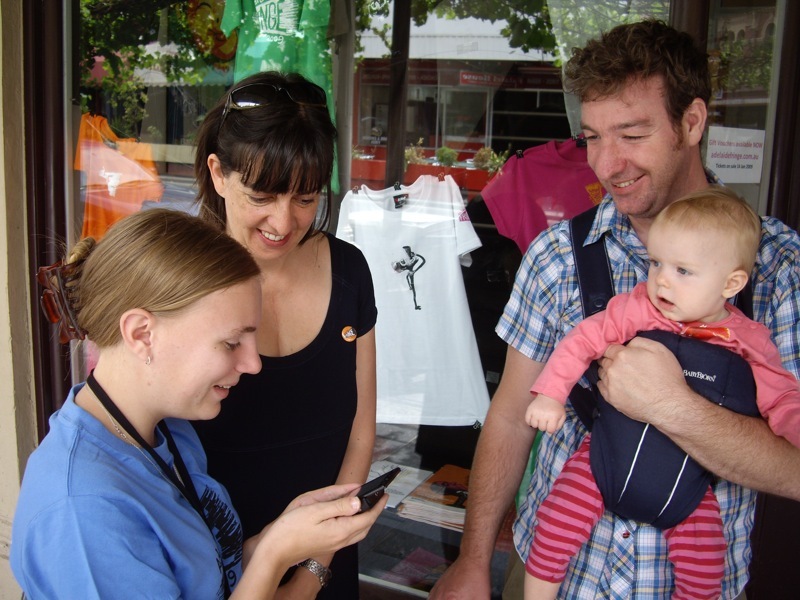 Each session started with a briefing at the Fringe office on Hindley street. Players received a short introduction on the rules of the game, formed teams, a volunteer and got their tools. 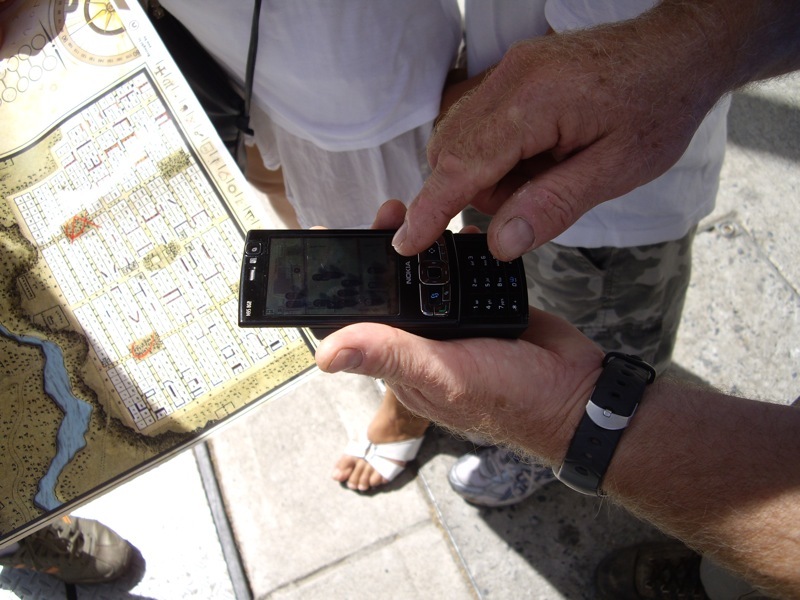 Not only did they get a GPS phone but also a treasure map – based on the original map Colonel Light designed – and a special decoder tool. 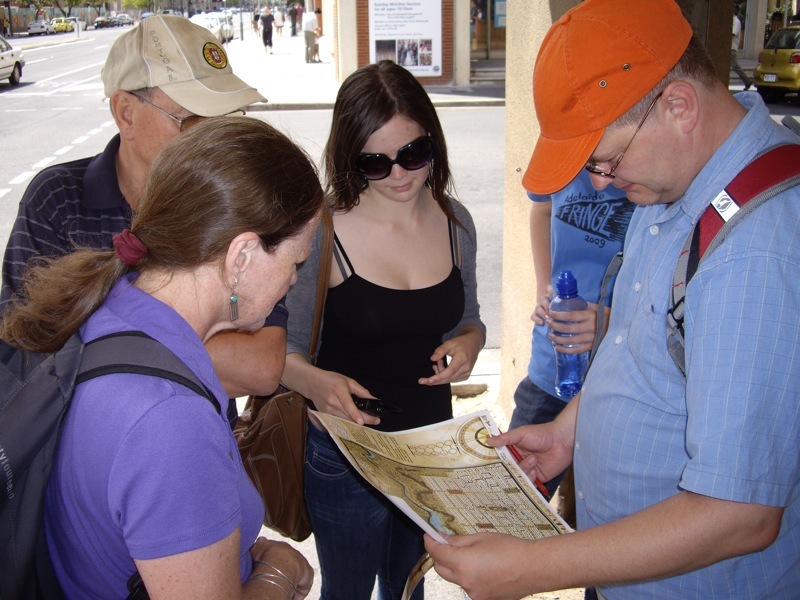 The objective of the game was to collect sets of symbols at different city locations using all your wits and the decoder tool so you could solving the final mystery. 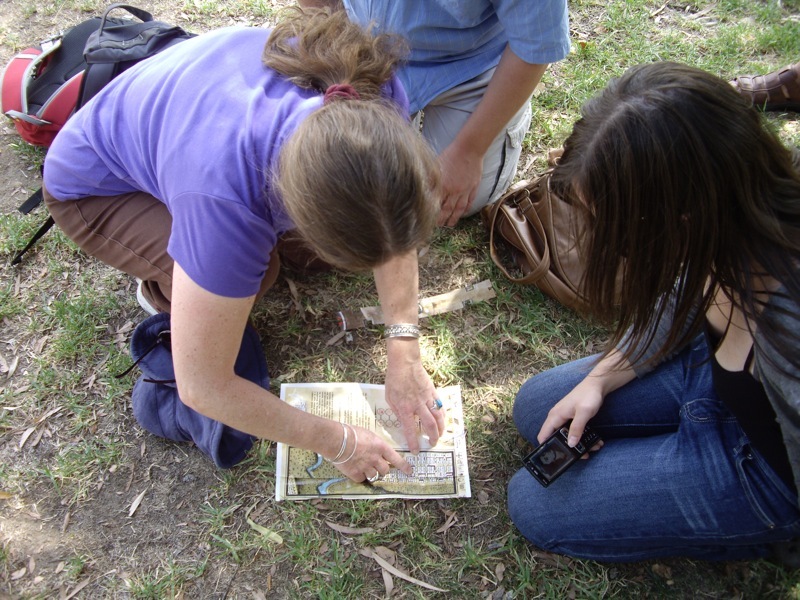 The game was set up to take teams from Rosina st – Currie st – Morphett st – North tce – Torrens – King William st – Victoria sq.- Franklin st – Young st – Waymouth st to Light sq. 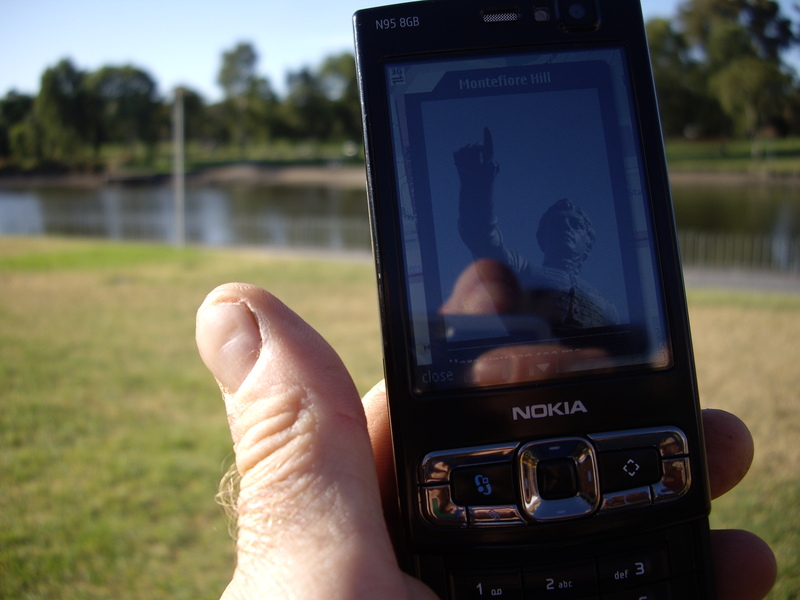 As soon as the teams went on their way they found out that Colonel Light was accompanying them at each game location. 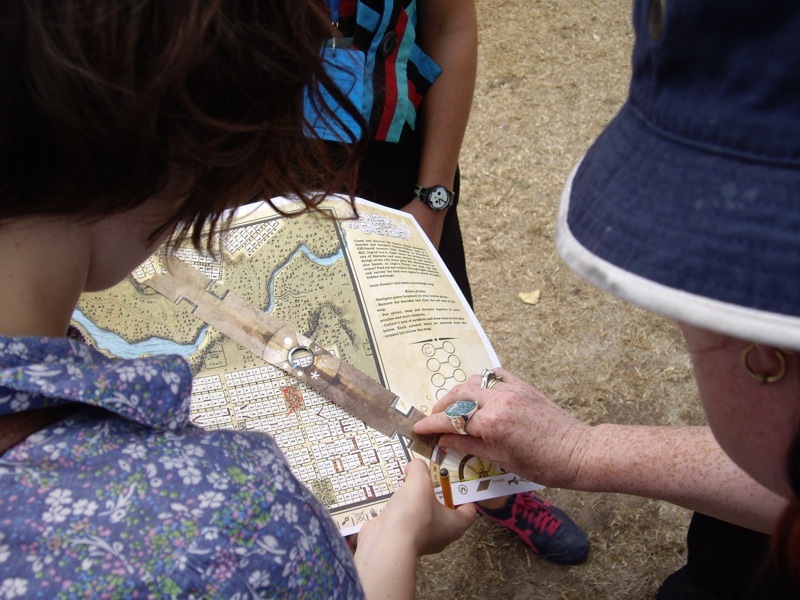 He explained that the game was not only about his Vision of Adelaide and that he would not only tell players about life in the late 1830’s, but that the game was also very much about discovering the city and her people now. Light told players that he was curious how people now lived in the city he designed over 150 years ago and how they feel about her. It was up to the players to find out and report on aspects of the city that stood out for them by taking photos and writing notes and linking these to these specific locations. Like Light said along time ago – it was up to posterity to decide whether he was entitled to praise or blame for his decisions – now was the time. 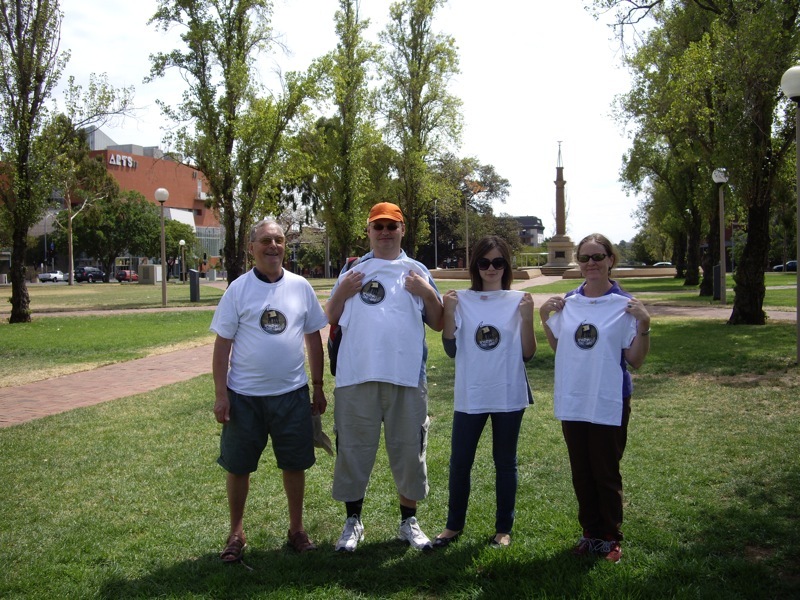 So different teams scurried through the streets of Adelaide getting to know Light better but also solving puzzles that rewarded them the symbol sets they needed. In their chase they were extremely competitive because solving the final mystery first would get the winning team a prestigious prize: TMoftCG t-shirts. 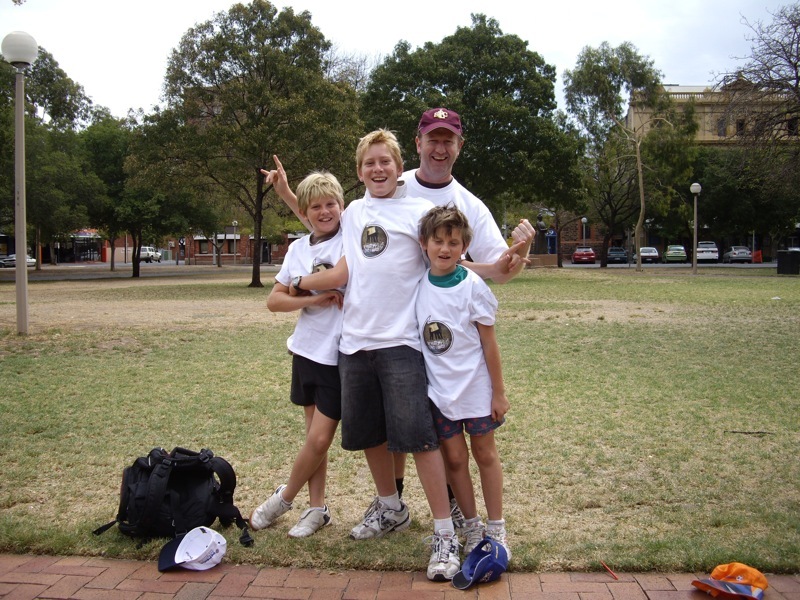 Players ran via the northern part of Light square to North Terrace looking west to learn where Light lived, passing The Holy Trinity church, to the Torrens to find the Kaurna name for the park and then on to King William street. 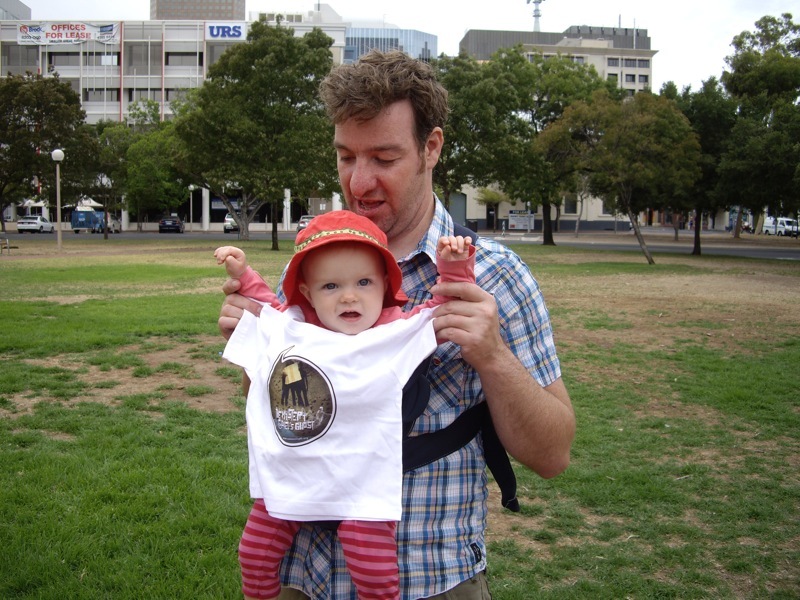 On King William all the way to Victoria Square players were asked to ask bystanders to describe Adelaide with one word resulting in “festival”, “parklands”, “family”, “music”, “wine” and much more. One of the teams also bumped into Mike Rann, premier of South Australia, who was gladly part of the game. 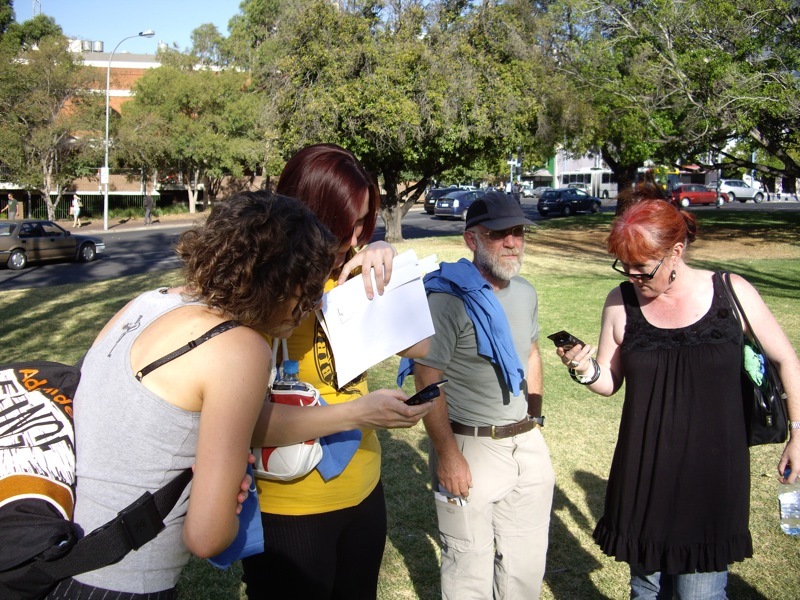 Finally, all teams tried solving the last big mystery at Light’s resting place on Light Square after which everyone told Light (and the camera) what their Vision of Adelaide is. 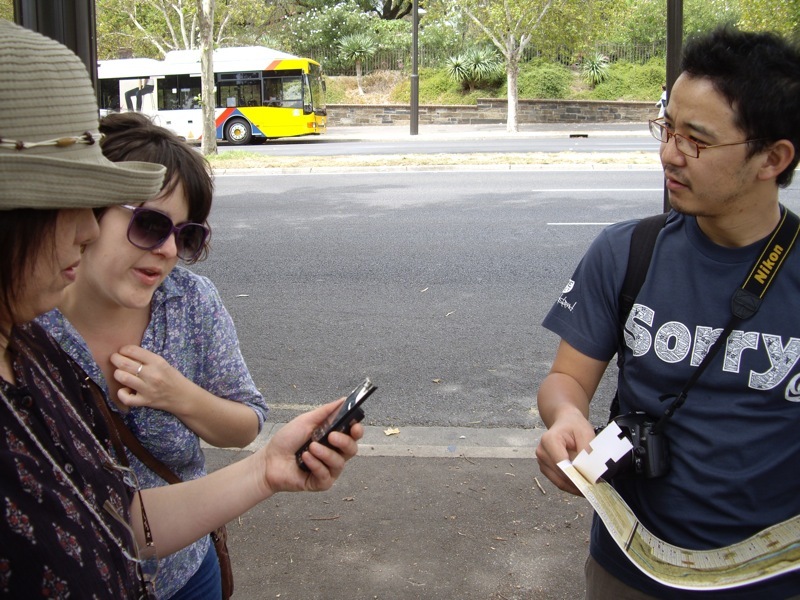 The game was a big success and players commented that they discovered things about the city they didn’t know before and thought the game was cleverly designed. For a full visual report – please be patient. A video montage is in the works. For now you can also check out the photos at flickr.com/photos/colonellight. Many thanks to the Adelaide Fringe for inviting 7scenes to create and produce TMoftCG! And of course this could not have been possible without the Fringe production force – thanks Melanie, Briony, Sareena, Sarah, Lizz, Sally, Jessica, Jay & Miranda! Have a great Fringe ’09 these next few weeks!